The technology was first experimentally demonstrated in 2013 when a 300 kb digital copy of a text file was successfully recorded in 5D. 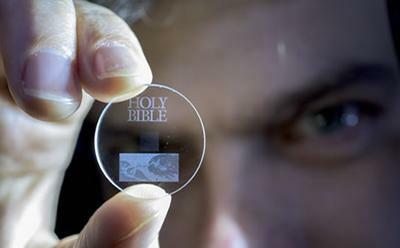 Now, major documents from human history such as Universal Declaration of Human Rights (UDHR), Newton’s Opticks, Magna Carta and Kings James Bible, have been saved as digital copies that could survive the human race. 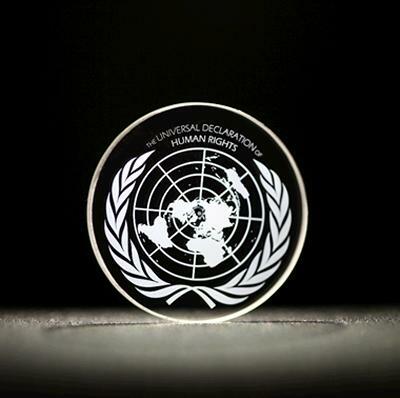 A copy of the UDHR encoded to 5D data storage was recently presented to UNESCO by the ORC at the International Year of Light (IYL) closing ceremony in Mexico. The documents were recorded using ultrafast laser, producing extremely short and intense pulses of light. The file is written in three layers of nanostructured dots separated by five micrometres (one millionth of a metre). The researchers will present their research at the photonics industry's renowned SPIE—The International Society for Optical Engineering Conference in San Francisco, USA this week. The invited paper, ‘5D Data Storage by Ultrafast Laser Writing in Glass’ will be presented on Wednesday 17 February. The team are now looking for industry partners to further develop and commercialise this ground-breaking new technology.